UARK Human Library: Check Out a Human Book! Check Out a Human Book! 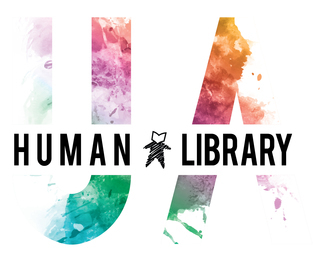 Sign up to check out one or more Human Books at the UARK Human Library event! Our Human Library will be open Wednesday, April 3 between 1pm to 5pm, Thursday, April 4 between 3pm to 7pm, and Friday, April 5 between 10am to 2pm. These will be 45 minute conversations where you will have the opportunity to hear another individual's story, ask questions, and engage in respectful dialogue. These conversations will take place in Holcombe Hall on the University of Arkansas campus. This event is sponsored by: The Center for Multicultural and Diversity Education, International Students and Scholars, University Libraries, the Office of Equal Opportunity and Compliance, Counseling and Psychological Services, Holcombe Hall, Veteran's Resource and Information Center. This book relays their experience being a witch in the Ozarks. Topics in this book include: Attending a historically black university as a gay white male, living abroad with the Peace Corps, and interracial marriage. Who are the Hmong anyway? This is a story about an invisible minority. Topics in this book include: Being a latino woman engineer and living in the US as an international student. How to realize in the midst of crisis that you always have a choice.